I help business owners, digital marketing managers and entrepreneurs getting more leads, more calls & maximize profits by effectively market online. I will solve YOUR PROBLEMS using my expertise of planning, digital marketing and business skills to ensure that your website FOUND by your prospects on the first page of search engines. I’ve personally managed the design, development of websites and digital marketing projects. I deliver great results with a process that is timely, collaborative and at a great value for my clients. Your project is not done until I get a “WoW” from You! Sameh is not only a self motivated and reliable person but also an inspiring digital marketing consultant. I can recommend Sameh as a person with great wisdom and deep knowledge of digital marketing to business. Great, creative, energetic and responsible perfectionist. Ashar AlamSpeaker, Author of "The Book on Digital Marketing"
I found Sameh to be consistently pleasant, tackling all assignments with dedication and a smile. He is a take-charge person who is able to present creative ideas, communicate the benefits, and deliver results on time. Sameh is a team player and would be a great asset to any organization. Sameh is a person with talent, very professional and dedicated resource in our team. His dedication and professionalism is exemplary. Working with Sameh is a pleasant experience and he can add significant value to any business. Sameh is a highly professional person who has shown a dedication and who aquire the knowledge required for his new role within the business to consumer team in less than a month. Sameh was resposnbile for the E-commerce from IT side. Sameh is an excellent team player who maitains a very good rapport with all colleagues. He is patient, persistent and has a pleasent disposition at all times even when under pressure to deliver results under very short timescales. I recommend him for a planning position in any large technology organization. Consummate professional and a key contributor to building a strong team. Excellent communication skills. Honest, reliable, dependable and I would have no hesitation in recommending Sameh and would definitely take any opportunity to work with Sameh again. Sameh is an extremely intelligent project manager and has advanced skills digital marketing. He is always seeking to expand his knowledge. Dedicated and honest, he is a prime example of quality employees. 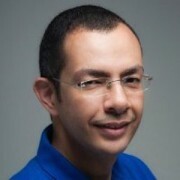 Sameh has acquired the reputation to be a highly precise and keen on quality kind of person within his domain. He is the go-to guy who can at worst give you credible information that would allow you to progress in your needs. He is always willing to take the extra mile to help you even if it is clearly out of his role’s scope. There is no point of having a website alone without being found. Stop thinking about new website without SEO program that works. Helping you acquire more fans, turn your fans and followers into quality leads and getting the right offers for your audience can’t resist . Building your PPC account, Optimizing your account to get you a higher PPC Clickthrough Rates and optimizing your ROI in paid ads. Studying your website visitor information and analyzing analytics reports, by discovering insights and providing recommendations that will help increasing revenue and customers satisfaction. Desiging email marketing campagins using the most advanced tactics to increase open rates, followed the industry’s best practices and legal compliance and standards to enhance the delivery rates. Design and develop of courses materials, teaching online lectures for internet advertising courses at largest online institutions.